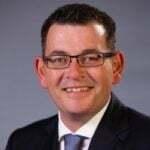 Daniel Andrews MP on parenting: "Our child health nurse was our saviour." Victorian Premier Daniel Andrews: Thank you to nurses for being the saviour of new parents. 15 years ago, I became a father. Our son Noah was born at the old Mercy Hospital in East Melbourne. It was one of the best days of my life – equalled only by the birth of Noah’s younger brother and sister. And when he was just three or four days old, I remember leaving the hospital with Cath to take our baby home. I remember the nervous energy, the butterflies. And I remember the fear. It’s one of the most precious times in your life, but leaving the hospital with a tiny newborn is also one of the most terrifying. As an exhausted Cath got into the passenger seat, it was my job to buckle up Noah in the back. I reckon it took me an hour. Was the seat fitted properly? Was he buckled in tight? What happens to the seat if I take a curve too quickly? Should I check the instructions just one more time? The next few days and weeks at home were a sleep-deprived blur of visitors, cuddles, feeding, nappies, bath times and bedtimes. And chaos. We marvelled at our perfect, sleeping baby one moment – and panicked with our crying, screaming baby the next. One thing I do remember very clearly is our first visit to the maternal and child health nurse. Our saviour. Were we doing the parenting thing right? Was Noah fed enough, big enough, getting enough sleep? These were the important questions she was able to answer – and she put us immediately at ease. There was one more piece of advice she provided. And it wasn’t about our baby. It was about us, as parents. She told us that it’s okay to be a bit of a mess. That it’s normal to feel overwhelmed and disorganised. That we can’t be expected to be thrilled and ecstatic parents 100 per cent of the time. That it’s natural to make mistakes, or to have doubts about yourself and everything you’re doing (…and that all our friends with children felt this way too, even if they never showed it). Most importantly, she told us to reach out and ask for help and advice – from experts like her, or from people like our parents who know us best. You can’t put a price on that sort of reassurance. But I think, as a society, we sometimes forget how important Maternal and Child Health nurses are. We too often overlook the place of MCH Nurses in our health system. That’s why I was so proud last week to announce that our Government will significantly expand the MCH service, so 37,000 at-risk infants and their parents in Victoria can spend much more time with these professionals during those vital years after the age of one. This will help them get the best start in life all the way up to 3-year old kinder. And while I was down at the Edithvale MCH Centre announcing our plan, it was great to be able to thank some of these nurses in person for all the work they do. Back in those early days and months with baby Noah, I can’t remember if Cath and I thanked our nurse enough. I hope we did. Because we’ll never forget how much her support meant to us.